Ex-marine Trevor Farrell is a classic workaholic. Which means he has a successful chain of resorts…and an empty house. So having Jade Evans, the widow of a war hero, and her three kids stay with him while their new home gets renovated is no problem. For a few weeks anyway. Elle O’Meara’s happy being a single mom to her adopted two-year-old, Charlotte. Even so, when Shane Scanlon starts coming in to her bakeshop, he becomes a bright spot in her days. The handsome former army medic even strikes up a friendship with her daughter, making Elle wonder if there’s room in her life for the excitement he could bring. Then Elle discovers why Shane’s really there: he’s Charlotte’s biological uncle and wants her in his family. Elle prefers to believe he won’t take Charlotte away, but he’s already lied once. Now she doesn’t know if her connection with Shane was real—or just another lie. A weekend to remember … leads to the surprise of his life! Since leaving the military, Adam Scott has been working at a luxurious resort: no commitments, no complications. Just the way he likes it. That is, until the morning Adam meets a young boy on the beach – a boy who looks very much like him. His son. Six years ago, Adam and Joanna Zielinski indulged in a passionate, no-strings weekend. Even now, their chemistry still burns. But Adam knows all too well that some men shouldn’t be fathers. He’ll protect his son the best way he knows how … even if it means saying goodbye to the family he never knew he wanted. Available April, 2017 from Harlequin.com, Amazon, Barnes and Noble and all your favorite on-line sources! Free-spirit Stevie never expected to wed her good friend and neighbor, number-crunching Cole. But then she never expected to be pregnant and alone. 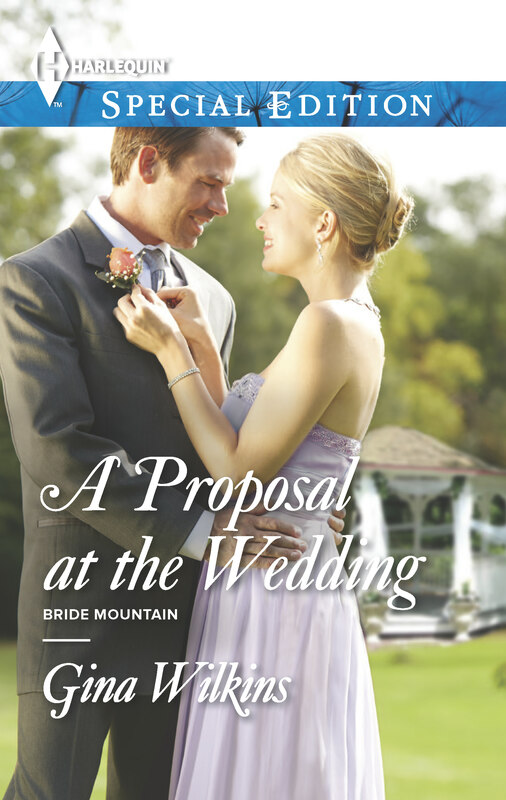 Cole’s offer of a marriage of convenience is the perfect arrangement. He’s a widower who wants a child, and her baby needs a daddy. As Stevie’s pregnancy hormones rage, Cole’s got it all figured out. But the financial analyst has overlooked one detail. 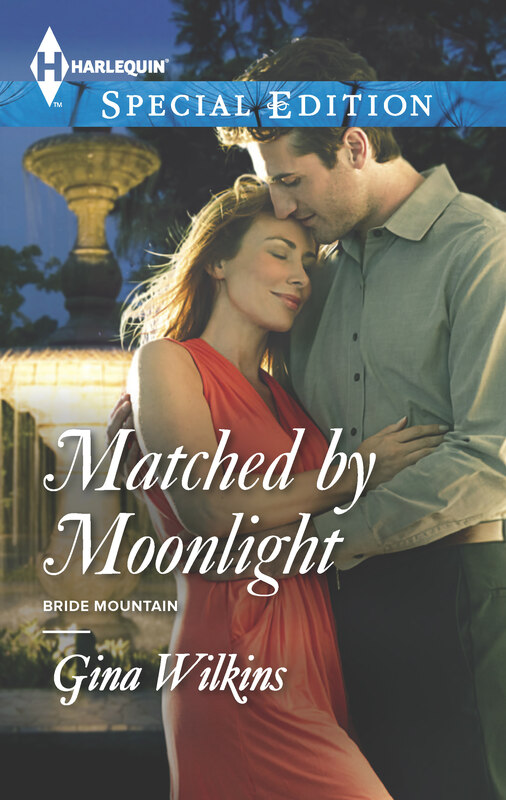 He is attracted to his wife — and the wedding night isn’t part of their baby bargain. In six months they’ll be parents — but will they ever be a family? With the hectic holiday season approaching, busy single professionals Tess and Scott, nagged by matchmaking relatives, decide their ultra-compatible working relationship would make an excellent foundation for a successful marriage. But after they announce their engagement and are inundated by advice and well wishes from well-intentioned family and friends, both begin to wonder if this so-sensible plan will truly satisfy the private desires they’ve been too cautious to acknowledge …. Needing to ponder a marriage proposal, play-it-safe Jenny Baer escapes to an Ozarks cabin — right into bed with a half-naked man! What’s recuperating Officer Gavin Locke doing in her rental amid a raging storm? He’s the last thing she needs — the man she loved … and left. Trapped with Jenny in his cabin with no power and too many memories, Gavin knows nothing’s changed. She can’t accept his dangerous career, and she’s about to marry a powerful politician. But when one little kiss brings him to his knees, Gavin can’t deny the attraction never died. Nor can Jenny. 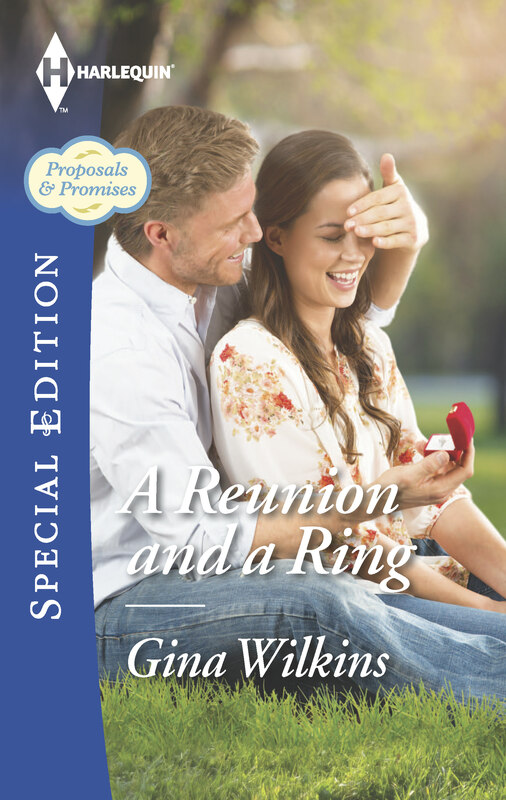 Once the flood waters recede, Jenny will wear a ring … But from whom? Don’t have a Kindle? Don’t worry! You can download the Kindle reader for free on your computer, iPad, iPod or smartphone! Just visit the Kindle reading apps site! 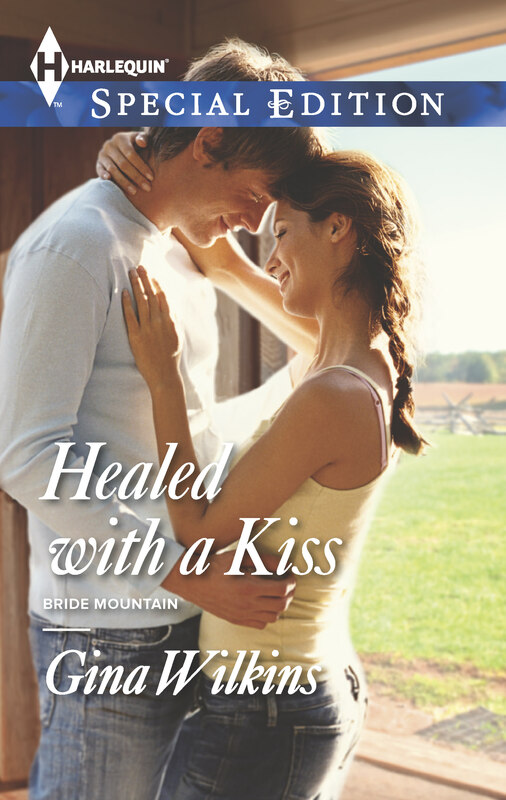 Many more titles are available from Harlequin.com and your favorite ebook sites. Click the Books tab above for titles and links. Gina Wilkins has been an auto-buy comfort read for me for years. 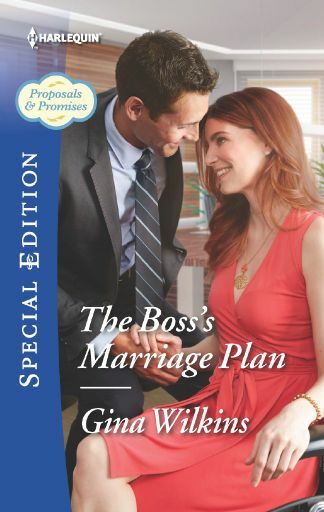 Her books tend to focus on people with real lives and complicated families … Gina Wilkins is an author who rarely lets me down. If you haven’t tried anything by her, I urge you to start now. Gina Wilkins writes stories about good people, people who strive each day to enjoy life, to be good, honorable people who ultimately make life a little better. You can’t ask for much more than that.